Roger that | Real in L.A. Remember when giving human names to business enterprises was in vogue? There was, for example, Ted (United Airline’s brand that attempted to compete with low-cost regional carriers) and George (the glossy monthly co-founded by JFK Jr.). The commonality of these efforts, besides the attempt to anthropomorphize decidedly unanthropomorphic entities, was how short-lived they were. Five or six years and they were history. 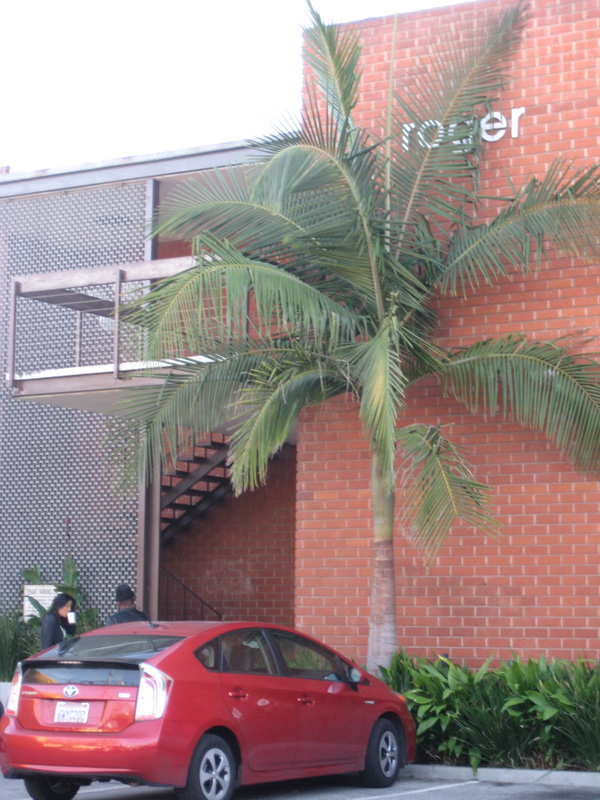 Except here in Silverlake where we still have a building named roger (yes, small R). Some things last. The Slinky. Rock ‘n’ roll. Patriarchy. The Koran. Others do not: Nehru jackets, pet rocks, the Pennsylvania Railroad. And male names for businesses. You are currently reading Roger that at Real in L.A..